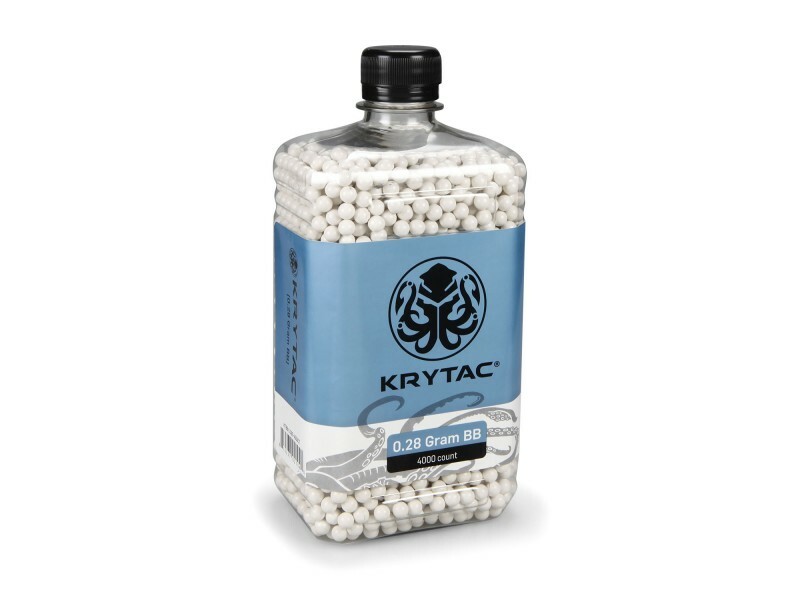 Each bottle of KRYTAC .28g BBs boasts 4000 rounds of high performance ammunition. .28g is a heavy weight, general use BB. Heavy weight BBs are highly recommended over lighter weights for their superior accuracy and penetrating power. Ensure that your gun never stops performing at the utmost of its abilities with KRYTAC precision ammunition, good BBs go a long way.